With his country's fast urbanization rate in mind, Nigerian architect and urbanist Kunlé Adeyemi presented the “Makoko Floating School” in 2013. 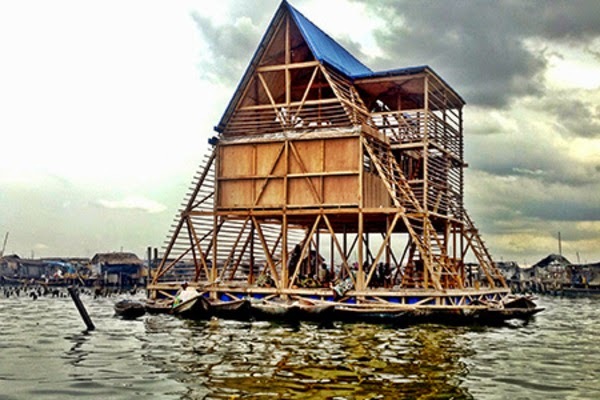 The prototype floating structure, built for the water community of Makoko in Lagos, addresses the community’s social and physical needs ahead climate changes and overpopulation. For less than $7,000 and 256 plastic drums to keep the structure floating, the institution could house 100 students. Electricity would be provided by solar panels on the roof, and rainwater would help keep the toilets working.